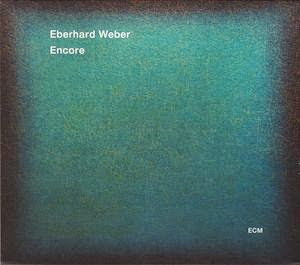 Bassist Eberhard Weber has recorded for ECM throughout his working life: the first release under his own name was The Colours of Chloë on the label. A companion piece to his 2012 release Résumé, Weber has indicated that Encore might be his last record, representing a creative life contributing and collaborating with one of the great, if idiosyncratic, labels. Unable to play bass following a stroke in 2007, both Encore and Résumé are created from Weber's live work on tour with Jan Garbarek. He has taken recordings of his bass solos with Garbarek's ensembles and reworked them in the studio, adding keyboards and, on some tracks, flugelhorn from Ack van Rooyen, who also appeared on Weber's first record 42 years ago. Taken out of context of their original recording, each of the short tracks is simply named after the city in which it was recorded - I think I might have been at Edinburgh. The solos on which the album is based were recorded between 1990 and 2007, but they have a consistent, timeless quality. In his solo work, Weber would use a variety of technologies to loop and multi-track his bass, building up music with just one instrument. Here he is adding to that with other instruments, but the intrinsic simplicity remains. Van Rooyen's contribution to some tracks is important, bringing a further dimension to the music. The result is virtuosic but relaxed, and sometimes almost ambient. Bass solos have a reputation for driving some gig goers to drink. Eberhard Weber's skill and creativity in making a whole album from solo outtakes is considerable, and may change many minds. There is some sadness that Weber thinks this might be his last work, but there is a wealth of music in his large back-catalogue.